National Council Auditions and winner of the 2015 Marcella Sembrich International Vocal Competition, is quickly gaining a reputation as a singer of striking vocal beauty and daring stage craft. The 2016-17 season includes performances of Handel’s Messiah at Carnegie Hall with both Musica Sacra and Oratorio Society of New York, and for his debut with the Houston Symphony. He will join the Karlsruhe Handel Festival to sing Vivaldi’s Nisi Dominus and excerpts from Handel’s Dixit Dominus. 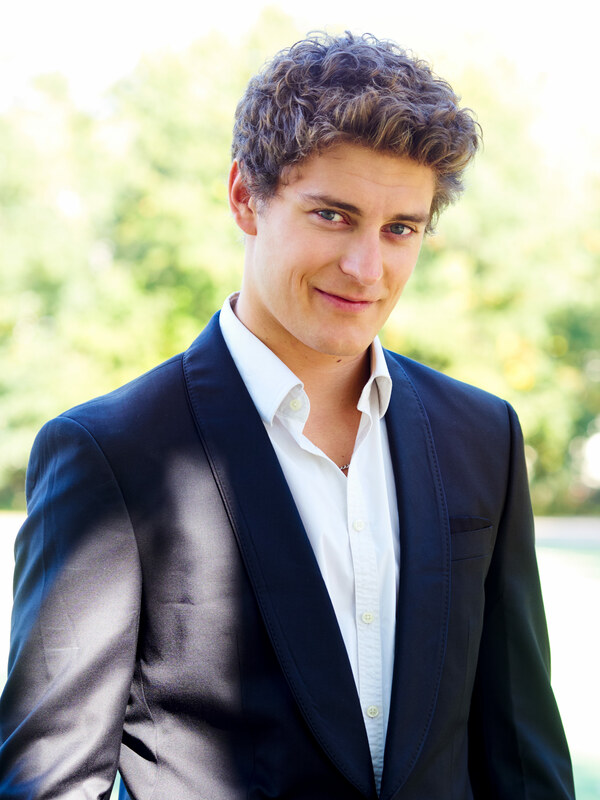 He will debut with the Festival d’Aix-en-Provence in Cavalli’s opera Erismena, and makes his Oper Frankfurt debut. While in Poland, Mr. Orliński performed the roles of Cupid in Venus & Adonis by Blow and Narciso in Agrippina by Handel. While in Germany, he performed the role of Ruggiero in Handel’s Alcina in Aachen and Cottbus, performed select Purcell songs with ballet at the Leipzig Opera House, and Philippus in Telemann’s Der Misslungene Braut-Wechsel oder Richardus I (based on Handel’s Riccardo Primo, Re d’Inghilterra) in Gießen. Mr. Orliński has triumphed in several vocal competitions: the 1st Place Winner at the Oratorio Society of New York’s 2016 Lyndon Woodside Oratorio-Solo Competition, the 1st and 2nd annual International Early Music Vocal Competitions in Poland, where he received “Special Mention”and “Special Prize,” respectively, first prize at Rudolf Petrák’s Singing Competition in Slovakia, 3rdplace at the Debut Competition in Igersheim, Germany, Special Mention at the 8th Annual Mazovian Golden Voices Competition in Poland, and 3rd place at Le Grand Prix de l’Opera in Bucharest, Romania. While working toward his Master’s degree in vocal performance at the Fryderyk Chopin University of Music in Warsaw, he participated in the prestigious young artist programs at both Teatr Wielki and Opera Narodowa. He is currently working toward his Graduate Diploma at The Juilliard School, studying with Edith Wiens. In his spare time, Mr. Orliński enjoys breakdancing, in addition to other styles of dance. His achievements in this arena include prizes in many dance competitions: 4th place at the Red Bull BC One Poland Cypher competition, 2nd place on the Stylish Strike – Top Rock Contest and 2nd place at The Style Control competition, among others. He has also been featured in a commercial for the street wear company CROPP, as well as featured as a dancer, model and acrobat in campaigns for Levi’s, Nike, Turbokolor, Samsung, Mercedes-Benz, MAC Cosmetics, Danon and Algida.